Growing up in a Bengali household, the Radishes, Mustard and Methi greens are simply a delicacy. Even now I can’t-do-without these vegetables.I am sure that many of you “Super Moms” will agree with me that these green vegetables especially eating Radishes are nutritionally powerful side dishes that are very healthy to the human body. So,to those who might not have a clue of the above, I will blow your mind with 12 amazing health reasons why you should be eating Radishes, Mustard and Methi Greens practically at least once in every seven days. Prepare a slice of garlic and coconut or olive oil. Pour mixture of garlic and oil into a frying pan. When the oil gets steamed, pour the green vegetables. Steam oil and vegetables together for 10 minutes. And the meal is ready. These three different greens can be cooked together or you can cook them separately as is own side dish using this same method. Various studies have revealed that these greens leaves contributes to reducing the body cholesterol level.Therefor it is also regarded as a rich source of steroidal saponins that frequently prevent absorption of cholesterol and triglycerides. These vegetables also contains galactomannans which consist of a massive amount of potassium. This helps to counter strike, against the actions of sodium to help control the rate of the heartbeat and blood pressure. Another health benefit of this trio is that the presence of galactomannan serves as a natural soluble fiber that helps reduce the blood sugar level. These vegetables have an excellent for digestion. They help serve the health benefits of the digestion process and some other times, it is used to relieve stomach aches. An addition of these vegetables put in your salad meals to produce an effective remedy for heartburn as the leaves of the Radish helps coat the stomach lining and intestine and then go on to soothe inflammation. Supermoms should try to add these three vegetables in their weight loss diet. By eating these three greens, your weight loss dream can be achieved as long you add these to your meals. Eating Radishes , Mustard and Methi greens also help in flushing toxic waste out of the body. The fiber of the greens attach themselves to the toxic waste to flush your system. This subsequently contributes to protecting the mucous membrane of the colon from cancer. These greens inhibit bile salts to be taken and by the colon. The Eating Radishes, Mustard, and Methi greens also contain compounds like diosgenin and isoflavones with estrogen-like properties which help reduce symptoms like pain and menstrual cramps associated with PMS. It also helps your hot flashes and mood swing. These green leaves when served as a juice, acts as a natural diuretic which contributes to dissolve kidney stones and also helps to flush the urinary bladder. 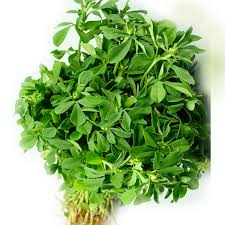 One of the greatest features of these leaves is its potential in contributing to relieve joint pains and swelling. Just by extracting these leaves and mix with an equal amount of sugar and a hint of water. A regular use of this can help cure rheumatism entirely. 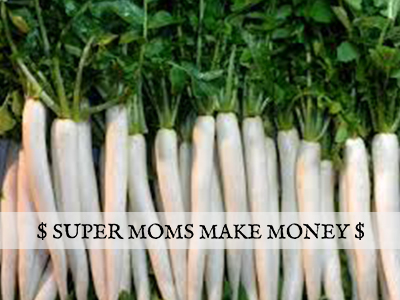 I advise all supermoms to try this, as the Radish, Mustard, and Methi leaves contains a whole lot of essential nutrients which helps in the detoxification of toxins in the body. No doubt fiber is rich and these leaves and fiber is well known for its abilities to help in the process of digestion. Therefore helps reduce uncomfortable conditions like constipation and a bloated stomach.